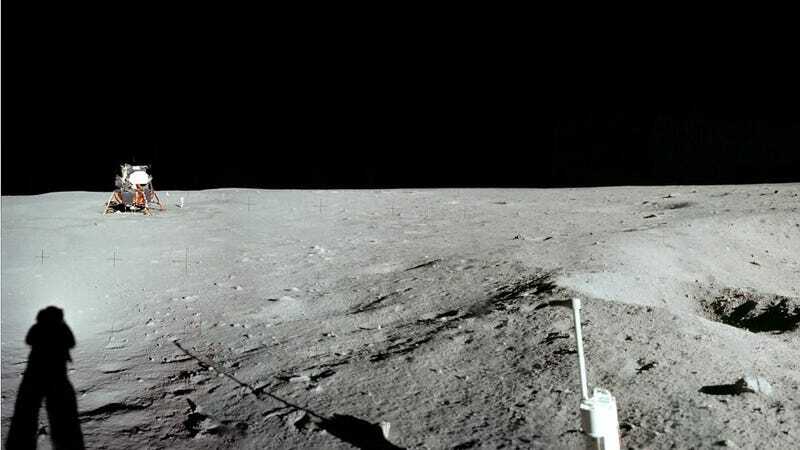 Lunar surface image taken during Apollo 11 mission. Scientist Dirk Schulze-Makuch from TU Berlin and Ian Crawford from Birkbeck, University of London speculate that, while it might seem “outrageous,” recent results show that the Moon is wetter than scientists have previously thought—so maybe, once, it had the conditions for life. The researchers stress that “habitability requires much more than just the presence of a significant atmosphere and liquid water.” One such requirement would be the presence of organic compounds. And there are obviously not the same water-created features on the Moon that we see here on Earth or on Mars, like drainage channels—though maybe these existed and were eroded by small meteors and solar winds. While the paper doesn’t present new data, it’s an interesting synthesis of lots of existing research demonstrating that, since the Moon is wetter than was initially thought, maybe it’s worth wondering whether it was once habitable. If you were disappointed that the current administration has decided to send humans back to the Moon rather than to Mars, at least there might be some especially interesting science waiting for us there. Why do we look for water when searching for extraterrestrial life?